This is one of the most touching memories I have of this year. We were freezing during our entire time at Lily Orphanage. August is winter in South Africa and temperatures would fall to the 30s. 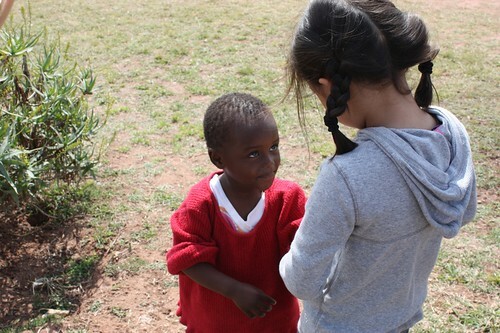 One little girl was cold and I witnessed Christine take off her red sweater and give it to her. 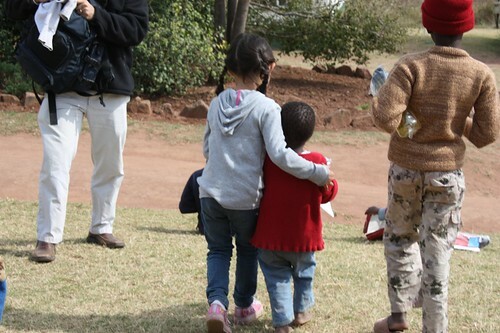 Even our 7 year old instinctively demonstrated empathy and love for another.